My neighbor was putting in new landscaping, so I asked him if he was sprucing it up to sell or to enjoy it. “Enjoy it,” he said without hesitation. I think it’s interesting that so many people live in their home as is, then when they go to sell they start fixing things up. But he and I are on the same page. The time to do major remodeling is when you plan to stay in the house, not when you’re going to sell. While some renovations will bring more money in a sale, others don’t. However, market studies show that professional staging does pay big dividends — about 500 percent to 600 percent of what you spend in the staging. Your biggest bang for the buck is in kitchens and bathrooms. 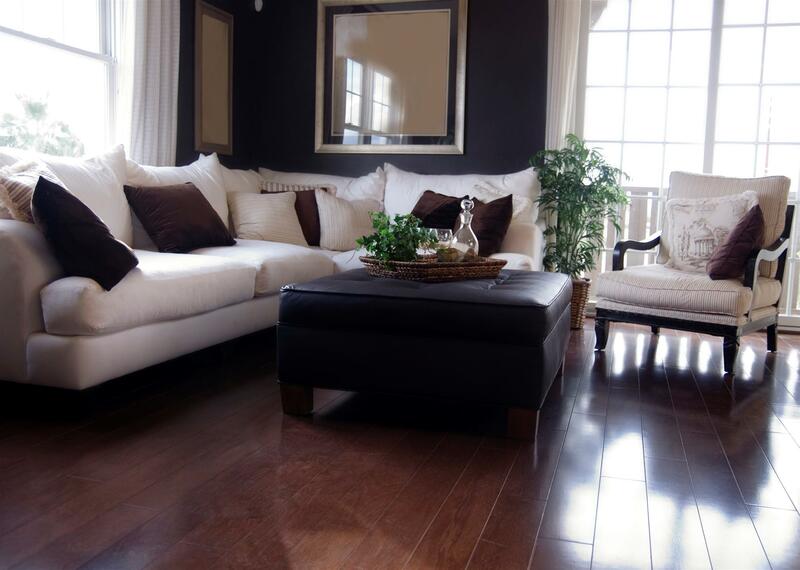 Other cosmetics like interior painting and carpeting will make your home more saleable. I ask all my selling clients if they would like a professional stager to consult with them in getting their home ready to sell. If they do then I provide the stager. Based on results, it usually pays off with more showings, better offers and faster sales. You can go much of this yourself, but you don’t have to do everything at once. Break it down to manageable-sized chores and you’ll have better results. The first thing you want to do is de-junk. Get rid of the things you no longer need or that are taking up unnecessary space. Even closets and garages should be staged. So have a garage sale or donate those items to a charitable organization and take the value off your taxes. · Edge, mow and fertilize the lawn and make sure it’s well watered and reseed any sparse areas for good color. · Keep your hedges trimmed, your lawn and flowerbeds weeded and your trees pruned. Cut back overgrown shrubbery next to your house, particularly if it is scraggly or keep out interior light. · Replace that welcome mat with a new one. · Paint the front door. · Walk around your house and check the foundation, steps, walkways, walls and patios for cracks and crumbling and reseal if possible. · Power wash your siding and brick. Repaint any areas with peeling paint. · Check the porch light and make sure it works. · Now is a good time to clean and align gutters and downspouts. · If you have a wood burning fireplace or stove, inspect and clean it. · Loose or damaged roof shingles should be replaced or repaired. · Repair and repaint loose siding and caulking. · Clean driveway and garage oil stains. · Keep your sidewalks swept and clean. If you’re selling in winter keep them free of ice and snow. · I see lots of broken and eroded outdoor steps. Repair or replace them. · In the spring and summer use brightly colored potted outdoor flower arrangements for the front yard near the entrance. · Don’t leave your garage door open and store RVs, boats and extra vehicles (anything that can’t be parked in the garage) somewhere else while the house is on the market. If the smell of cat litter, cigarette smoke, mildew or pet accidents greet prospective buyers when they walk through the door, there is little chance that even a reduced sales price will persuade them to buy. So clean everything — walls, floors, inside closets and cabinets — even if it means hiring a cleaning service to do the job. That includes shampooing carpets, and scrub and wax linoleum, wash and wax wood floors. Thoroughly clean all appliances (especially refrigerator and oven). Clear all cobwebs from corners and doorways. While you’re at it, put away appliances you normally leave on countertops. It will make your house look bigger and brighter and increase your perceived value. Clean out your closets, garage, basement and attic. Consider repainting walls and ceiling off-white or beige and repair damage to your walls or tiles and replace broken or cracked windows, moldings and other woodwork. · If your faucets drip, repair them and consider replacing cabinet knobs and curtains for the kitchen. · If your sinks drain slowly, unclog them. · Clean out the fireplace and lay some logs in it. · Give your windows some attention clean them inside and out and mend torn screens. Clean out all window tracks and see that they open and close properly. · Check all interior lighting and replace burned-out light bulbs and make sure every light switch works. Consider using brighter lighting. · If your floors and stair treads creak, nail them down. Drive two long finishing nails at opposing angles through the floor and sub-floor into the joist. · Remove excess, worn or unattractive furniture. · Replace old toilet seats and shower curtains. · Wash all light switches, handrails and doorknobs. · Keep draperies and shades open to let in the light. · Place fresh flowers throughout the house. · Have your home well lit during showing. · At night, turn on porch light and outdoor lighting in back if you have it. · Set out luxurious towels in the bathroom, preferably white. · No dirty dishes in the sink or on counters. · Keep toys in the children’s rooms, bikes, wagons and skateboards in the garage. · Play pleasant music at low volume. · Spend the day of an open house away from home. · Leave pets outdoors or take them with you. · Unless you’re selling it yourself, let the agent show your house, and don’t tag along. For more information or top find your next home, please go here.